While we usually don't spotlight bands that have been broken up for a while, we here at Big Wheel thought that The Replacements are such an essential band to know that we would attempt to expose a whole new generation of music listeners to the great music and lyrics of The Replacements. I had originally written an entire spotlight for the Replacements that I intended to publish that detailed their career history, but as I reviewed my article I realized that it was much to cold of a spotlight for a band that I have such an affinity for. To me, the replacements are more than just another early 80s Punk band, their songs stir my emotions and tackle a variety topics that are relevant to my life as a hopeless, confused, frustrated 25 year old guy. I'm sure I'm not alone. Steve Soto from the Punk band The Adolescents was the one who had exposed me to this band a few years back. I remember vividly that he told me that this was a perfect band to listen to as a young person who Isn't a kid anymore, but not quite an adult. I couldn't agree more. The Replacements tackle topics that a lot of people at this point in their lives are dealing with. 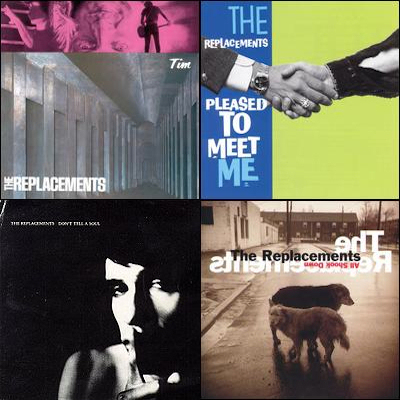 The magic of The Replacements is that you feel a connection with vocalist Paul Westerberg, a feeling that you could be hanging out together sharing your troubles and frustrations. The song "Here Comes a Regular" off of the album Tim talks about the need to feel wanted and what people do just to fill that void. "Bastards of Young" off the same album is arguably the quintessential Replacements song. 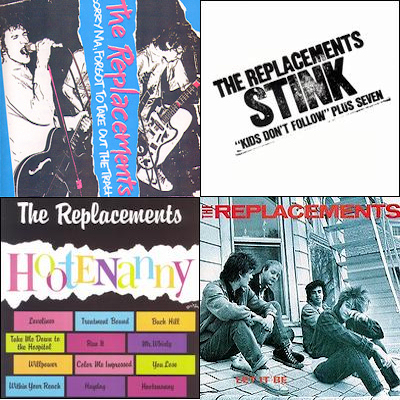 The thing about The Replacements is that in their songs they don't ever claim to have answers, or an action plan, but rather just play these songs as if only to get it off their chest and perhaps see if anyone else feels the same. Of course I've done a really bad job at telling you what this band actually sounds like, but you know I'm really bad at that, so go pick up a record or download something. The earlier stuff like the album Sorry Ma, Forgot to take out the Trash leans more toward the punk side, while the album Tim is a little slower with more poignant lyrical content, still with a Punk sound.